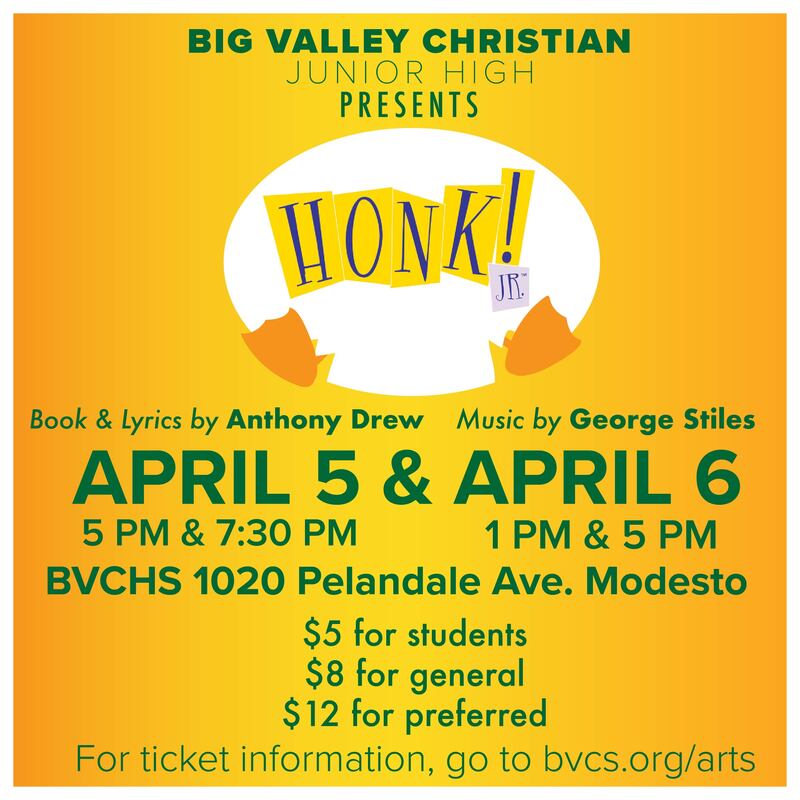 Big Valley Christian Junior High School Theatre Arts presents . . .
To purchase tickets, please click here: https://bvcs.brushfire.com/events/. For more information, call 209-527-3481. Ugly looks quite a bit different from his darling duckling brothers and sisters. The other animals on the farm are quick to notice and point this out, despite his mother’s protective flapping. Feeling rather foul about himself, the little fowl finds himself on an adventure of self-discovery, all the while unknowingly outwitting a very hungry Cat. Along the way, Ugly meets a whole flock of unique characters and finds out looking different is not a bad thing to be. Adapted for young performers, HONK! 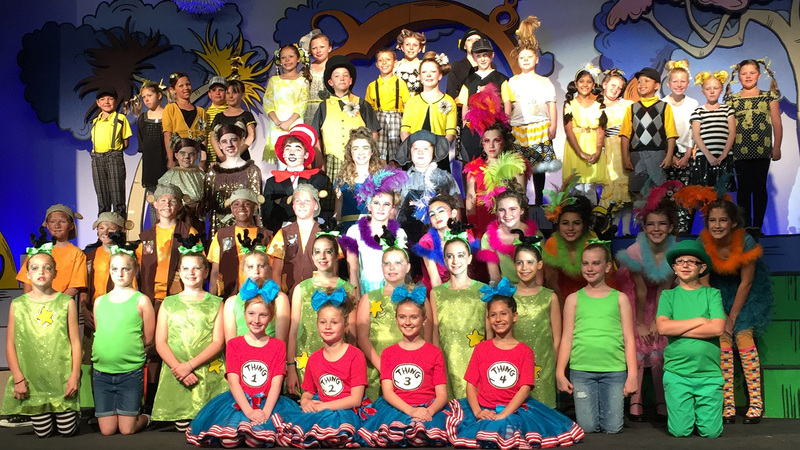 JR. is a heartwarming celebration of being different that is sure to delight audiences of all ages with its sparkling wit, unique charm and memorable score. Witty and hilarious, but also deeply moving, HONK! JR. will treat the audiences to equal amounts of laughter and tears. At Big Valley Christian School, we are committed to providing our students with a well-rounded experience, and we believe that our arts program adds breadth and depth to our students’ education. Learning to play an instrument or performing in a play or even working behind the scenes on a production challenges students to improve their talents while also providing unique experiences and growth opportunities. The arts are part of our curriculum from preschool through high school. Our program offers our students the opportunity to explore and discover the creative gifts which God has given them and to share these gifts in meaningful ways. Our teachers and volunteers within this program are able to uniquely teach and disciple our students. As a result, Big Valley Christian School is a wonderful place for students to experience the joy of performing arts, visual arts, and music all while glorifying God.